For the suction, conveyance or separation of many types of fines from processing lines and bulk handling. Sizes range from 1500CFM - 46000CFM depending on your application. Let us test your materials! 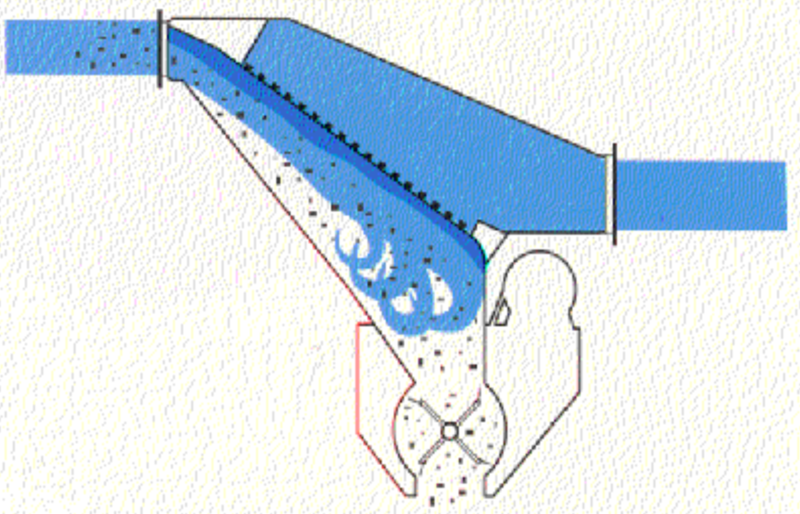 The PDP classifier uses airflow to pass material into a screen, creating a deflection area that deflects solids into the solids discharge area, while air is free to flow through the screen. The material never comes into contact with the screen due to cavitation created at the screen surface.